Global positioning system (GPS) trackers are portable devices that allow fleet managers, parents, and vehicle owners of all kinds to monitor and track their cars and trucks. Real-time GPS trackers for cars are capable of providing instantaneous speed and location data, while less expensive options record this type of information for later use. With some GPS vehicle trackers, it's even possible to set up real-time alerts to go off whenever a driver speeds or deviates from a specific area. GPS tracking uses a network of satellites to determine the location of a device that was specifically designed for that purpose. The basic idea is that a GPS tracker uses a process called trilateration to determine its physical location based on its distance from three GPS satellites. This is the exact same technology used by your portable or in-car navigation system. What Are Car Tracking Devices Used For? The main purpose of a GPS car tracking device is to let you know where your vehicle is at all times, and there are a lot of different scenarios where that can be helpful. For instance, if your car was stolen, but you had a tracker installed, you could provide the police with its exact location. GPS trackers for cars also fall directly in the rift between free-range parenting and authoritative parenting. With the right tracker installed in your teen’s car, you can pull up their location in real-time, or view a record of where they’ve been, when they were there, and even whether or not they broke the speed limit. Vehicle tracking devices are also tremendously useful for owners of large fleets of cars or trucks. Some use the technology to keep tabs on where their vehicles are at any given time to better coordinate daily operations, while others are more interested in tracking mileage for bookkeeping or reimbursement. Of course, there is the dark side of automobile GPS trackers, too. Some might use them without the vehicle owner's knowledge to keep track of where the vehicle goes and when. If you suspect that's the case, you can always try to locate GPS tracker that's been hidden on your vehicle. If you can think of any situation where you might want to know where your car is, or where it has been, then you might need a GPS car tracker. The only caveat is that most of these trackers require cell service to provide you real-time location data. How Do You Use a GPS Car Tracker? Using a GPS tracker in your car is usually pretty easy, but the process is a little different from one device to the next. The main difference is the power source, but there is enough variation that it’s still a good idea to check the manual first. Some GPS trackers are designed to plug into the onboard diagnostics (OBD-II) connector that is usually located under the dash near the driver’s legs. The benefit here is that these trackers get power directly from the diagnostic connector, so they’re extremely easy to use. If you’ve ever used a code reader or scan tool, then using this type of tracker is a breeze. Other car trackers are designed to plug into a cigarette lighter or accessory socket, which also limits where you can install them. These trackers are very easy to install and use, but some of them will continue to draw power from your battery when you aren't driving. In that case, you need to unplug the tracker to prevent your battery from going dead. The most discreet car GPS trackers are powered by battery, which means they can be installed virtually anywhere. Since there is no external power source, this type of tracker has to be removed and charged periodically, or it will stop working. 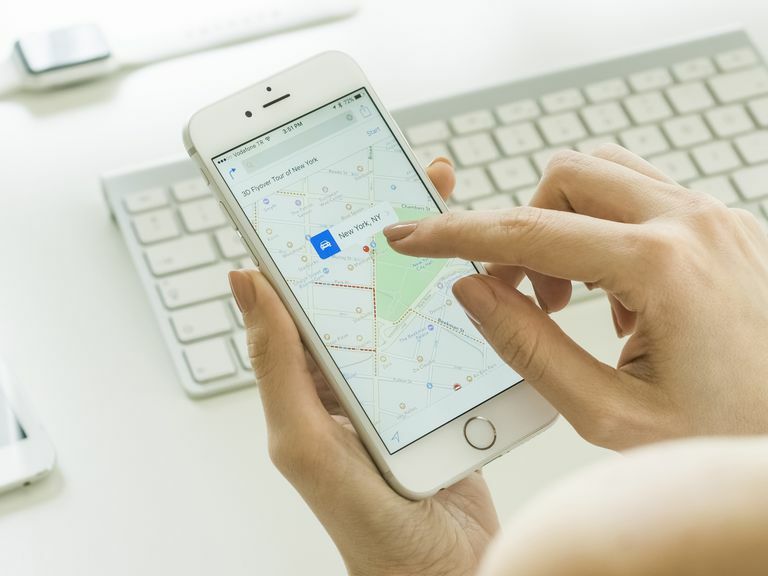 Once you have a GPS tracker installed in your vehicle, you can use software on your computer, phone or tablet to view its location in real-time. Are GPS Trackers for Cars Legal? While all of the usages outlined above are legal in most jurisdictions, it’s important to understand that there are some circumstances where using a car tracking device could land you in hot water. When in doubt, contact a lawyer for legal advice on the matter. The general rule of thumb is that if it’s your car, you can track it. This is true for both privately owned vehicles and vehicles that are owned by a company. So if you want to keep track of your minor child, or keep tabs on your employees during work hours, you’re generally in the clear. If you don’t own a car, then it’s usually illegal to install a tracker in it. There are exceptions for police, provided that they obtain a warrant first, and private investigators working under the instructions of the owner of a vehicle. It’s illegal in most other circumstances, and some jurisdictions even have cyberstalking laws that specifically address GPS car trackers. While GPS trackers for cars can be used to spy on people, legal uses fall well short of that mark. If you have any concerns, of course, you should seek a professional's legal advice. Even in the case of tracking a teen driver or an employee, the main goals are safety, accountability, and efficiency, rather than spying.